6th graders sitting for the selection test at Lycée Ngagara, 14 September 2016. Contrary to plan, the School of Excellence programme will open for 7th graders only. It will not open for the first year of the post-basic school starting with this new school year 2016-2017. The Minister of Education, Higher Education and Scientific Research gives two reasons for the decision: the lack of classrooms and the need for evaluation of the effectiveness of the School of Excellence over a period of time. “The number of pupils of the first year of Post-Basic School is big. If we open the School of Excellence for them, there will be no enough classrooms to host the two groups”. Moreover, “we believe that starting the programme with the 7th grade will facilitate the assessment of the effectiveness of the programme”, explains Minister Janvière Ndirahisha. Parents were confused to see all the names of 9th and 10th graders included on the post-basic school placement lists whereas they expected two separate lists of pupils who would attend the normal schools and those who would be placed in schools of excellence. “They said the best 9th grade pupils will be sent to study in schools of excellence, but we see all names here. 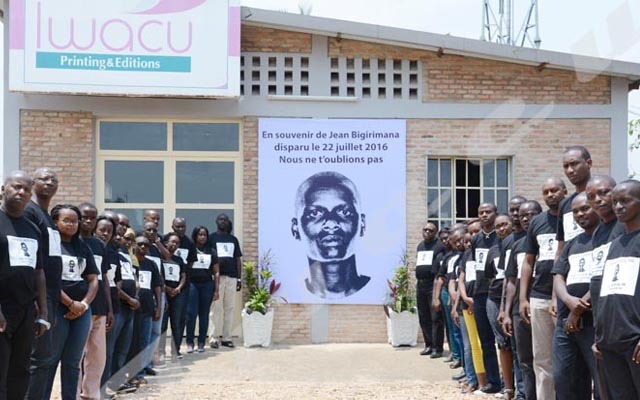 What will the admission procedures to those schools be?”, wondered a father met at ESTA, downtown Bujumbura, where placement lists for all post-basic school candidates were displayed last Wednesday afternoon. The schools of excellence, one in each of the four education districts of the country, open this Monday just as the normal schools. Candidates were selected through a national selection test done by the best 6th graders throughout the country. According to Ndirahisha, 240 of the candidates were retained after the test. The number of retained candidates varies among school districts but is equal within provinces of the same school district. For example, Lycée Musenyi will host 60 pupils from Ngozi, Kirundo, Muyinga, and Kayanza, the four provinces of the northern school district. Each of the provinces will provide 15 candidates. In contrast, Lycée Makamba will host 30 pupils, 10 from each of the three provinces of the southern education district namely Makamba, Bururi and Rumonge.